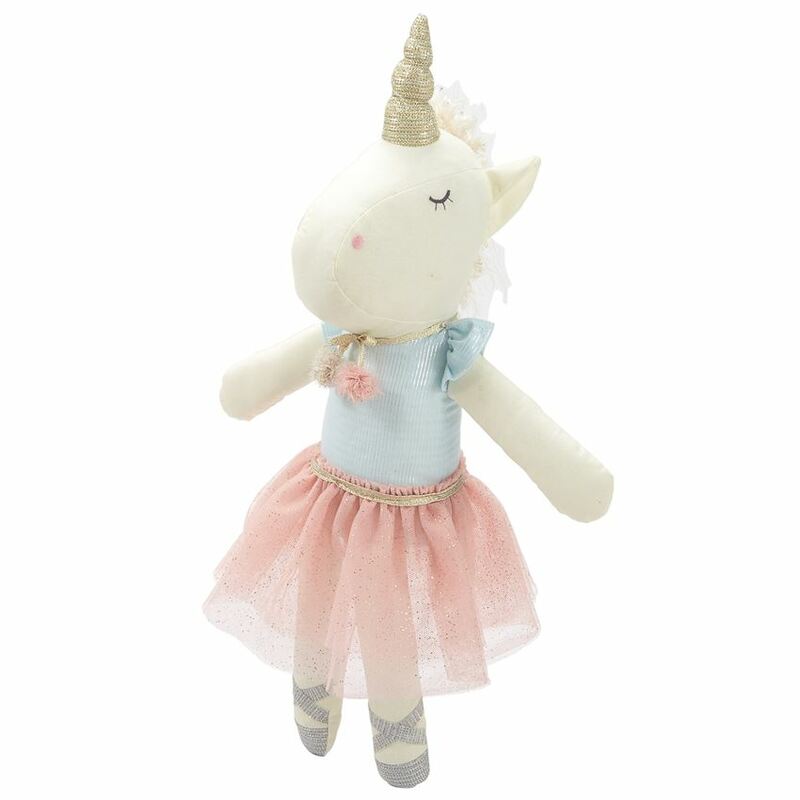 Your tiny dancer isn’t the only one with twinkle toes around here! This linen unicorn plush features a fringe trim mane, woven lurex horn, embroidered facial features, and a glitter mesh tutu. Perfect for gifting or as darling nursery decor.